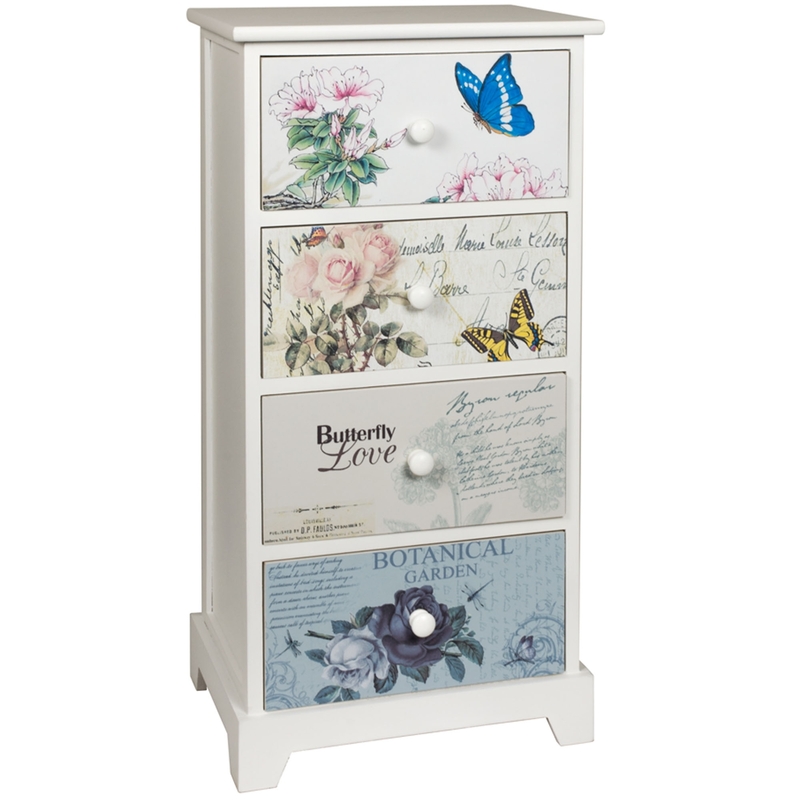 Make your home feel a lot more charming and stylish by introducing this beautiful Shabby Chic Butterflies 4 Drawer Chest. This chest of drawers features a lovely design that takes a white wooden base and gives it contrasting, colourful drawers to create a distinct design. The colourful and original drawers will be sure to make any bedroom feel a lot more interesting and elegant.